The White House has released a fact sheet that outlines President Obama's upcoming announcement about his plan to use gun control measures to slow gun violence. Here is the short of what he is proposing. Under the President's direction the FBI will hire 230 additional examiners and staff to help process background checks. This is intended to make the service available 24 hours a day and 7 days per week. An additional four million dollars will be dedicated to helping the ATF track illegal online firearm trafficking. The 2017 budget will include funding for 200 new ATF agents to help enforce current gun laws. ATF is finalizing a policy to make sure dealers who lose firearms in transit notify law enforcement. 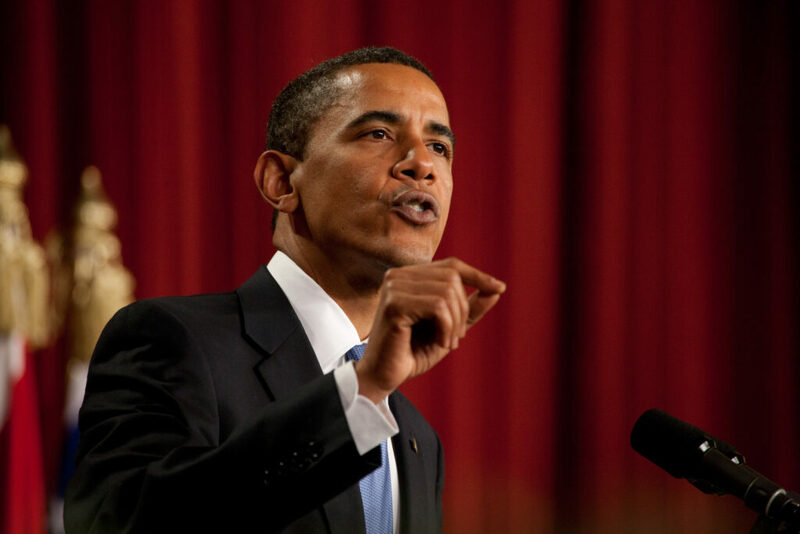 President Obama is proposing a $500 million dollar investment to increase access to mental health care. The Social Security Administration will build a process by which it will include information in the background check system about people who should be prohibited from possessing a gun due to mental health reasons. The Department of Health is working to remove legal barriers that prevent states from reporting relevant information about people who are prohibited from possessing a gun due to mental health reasons. The President has directed various departments of government to conduct or sponsor research into gun safety technology. The ATF regulations will create a better and more detailed framework for who needs a FFL to buy and sell guns regardless of where they conduct those sales. The ATF will require background checks for people buying firearms via a trust or corporation. Click here to read our article about the idea of Universal Background checks. Why doesn’t the Executive Branch want to address the facts that “Bad Guys With Guns” don’t follow Current Laws or any futuristic Laws. So why burden Law Abiding Citizens with more useless laws that are devised for another group that won’t blink an eye at learning or complying with both existing or any new gun laws? BTW, the ExecutiveBranch cannot put this plan into action (just like Obamacare) WITHOUT A PROPERLY FUNDED BILL AUTHORIZATION by the HOUSE of REPRESENTATIVES – Period. Any action done without such Consent, Approval and Funding by Congress is a direct Abuse of Power by the Executive Branch and is considered an Unconstitutional Action as Proposed. Independent Doctors should be doing Mental Health Screening, not the Department of Health. How could the Department of Health realistically conduct any unbiased Mental Health Screening/Evaluation? IMPOSSIBLE! As proposed, and as you may imagine, The White House would have every Veteran Mentally disqualified as they know best how to Handle and Operate all sorts of Firearms; both Handguns and Long Rifles, as ALL Veterans have Trained and Qualified on & with these types of Tools of their Trade. Maybe I’m missing something, but what does the Social Security Administration have to do with with Gun Control including background checks, other than not sending a retiree their Monthly SS Check f they own a gun of some sort. The more you read the proposal above, the more you SEE that this proposal is about Big Government! it isn’t about Keeping guns out of the hands of the Mentally Impaired, but is a manner to once again Grow BIG GOVERNMENT BIGGER! By the way, where are we going to get 500 Million Dollars as the country’s Checking Account is in the “RED”! We need to have a Government that Operates within some guidelines of Fiscal Responsibility…if the White House needs a lesson, I’m sure Mr. Trumph is available for consultation. Take the 500 Million dollars and build a Multi-Layered Wall, with sensors, along the US-Mexico border and Beef-up the Border Patrol…Stop making More Laws which Lawless Persons still WILL NOT FOLLOW! WHO ARE WE KIDDING? Congress…grow a pair and do your job. If the Executive Branch OVERSTEPS their Constitutional Authority, do your job…it’s Called Checks and Balance. The real intent of this executive action is to allow the government legal means to confiscate privately owned weapons, criminalize sales … such as a widow attempting to see her deceased husbands gun collection bring in much needed capital for survival, they will label seniors receiving help with their finances or enlisting other family members to navigate the complex tax codes … they will be labeled “incompetent” and therefore will be included in the target list of confiscation and lastly … the V.A will label anyone and every veteran who served in a high risk position, was exposed to combat or sought any counseling as being a risk and will be banned from owning a firearm or if in possession of a legally owned firearm … they will become a target of confiscation. This president, along with his cabal of anti Americans, does not care what the majority of Americans believe, he sheds “crocodile” tears when he shamelessly states that these actions are necessary if we can save even “one” life from gun violence. This is the president who adamantly supports murder of the unborn … not even shedding a tear when witnessing the murder of a late term fetus being aborted (shown to him and others via a video of the procedure by nurses in a large public Chicago hospital … all others in the room cried … Obama never shed a tear.) No, there is only one reality here. He has put all Americans in a new kettle of water. He is turning up the heat … a few restrictions … here and there … “hey” you can still own your firearms … by Spring he will begin confiscations based upon these first illegal executive orders … then he will issue more draconian executive orders …. just a little more heat but before he leaves office the heat in the kettle will be near boiling (death of our 2nd amendment) but the people in the kettle will not realize it because the heat has been increased gradually … day by day … and they are unaware that they are near death. God bless the U.S.A and God d…n BHO and all of his un American/communist/socialist/progressive supporters. You see, many of us will not get into this pot and are watching very carefully as his devious vile plot unfolds. Another real intent was and still is to put as many Veterans on Disability so he and His other Nieve ones in so call capital hill in so called washington dc without the periods. Hope to make the American People think they are really doing something for Veterans, when in reality they as a whole are attempting to do what he has set out. If he barack hussien cared about innocent lives he would have gotten his Brothers in isis or issal as he calls them, done away with and finished with them. He hasn’t make a comment about there isis or issal having training camps or compounds in different states of the union. Why have four of them in eastern NC, another in Dover Tn, just around the corner from Fort Cambell Ky. If he had any common sense he and his clones in dc would (attempt-attempt as I just said) take the guns from ALL GANGS – and the rest of the problems that are heard on the so-Called news programs. They have always put on the air as they say the Breaking News. Wanted to add to this statements, hussien wants to disarm the Americans so we don’t have artillery to fight his isis or isisal as in other countries of this world. He doesn’t care for human life as we see across the world as to what has happened and is still happening. The Builderburg Group is the one’s in whom tell him and all other’s with the title of president what to do. (BUT THE MAIN PART OF ALL MY HEAVENLY FATHER IS STILL IN CONTROL WITH HIS SON (JESUS CHRIST). I truly do feel SORRY FOR ALL OF THE NOT SO SMART ONE IN dc. Thank You and JESUS CHRIST BLESS ALL OF HIS CHILDREN. I agree with all I’ve read,Barry is trying to destroy this country. As far as I’m concerned he is here illegally and is jealous and envious of America’s freedom and what we have always had as he didn’t have that in Kenya. His dad taught him well how to hate!!! He is a worthless,evil being!! !